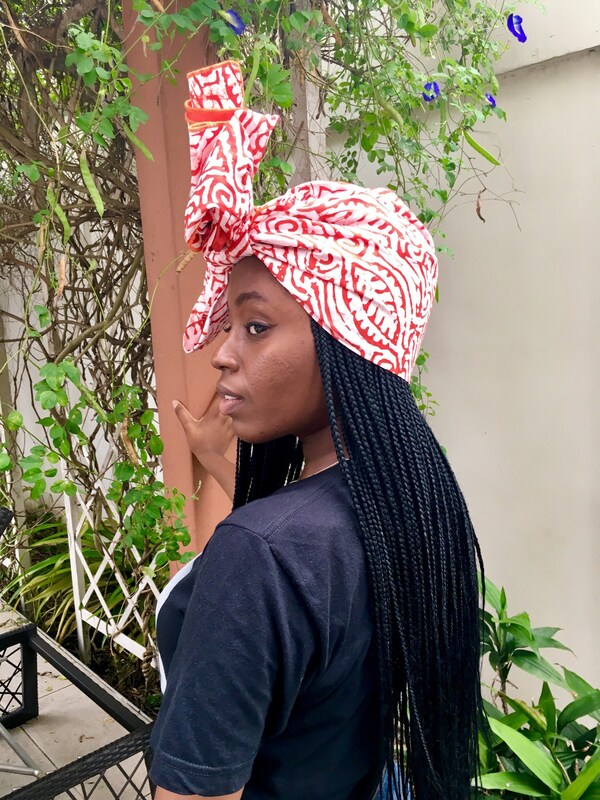 Stand out with this authentic African Batik headwrap. 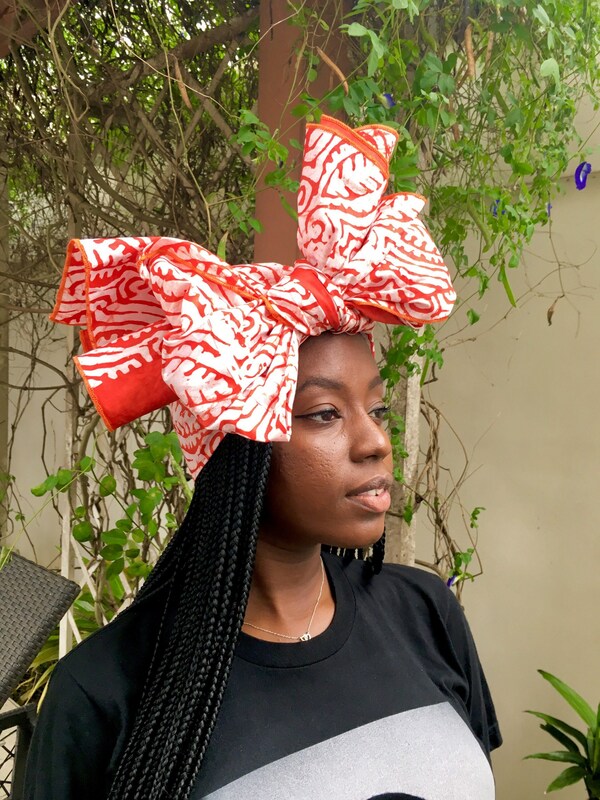 This remarkable African print headwrap would make the perfect hair accessory. 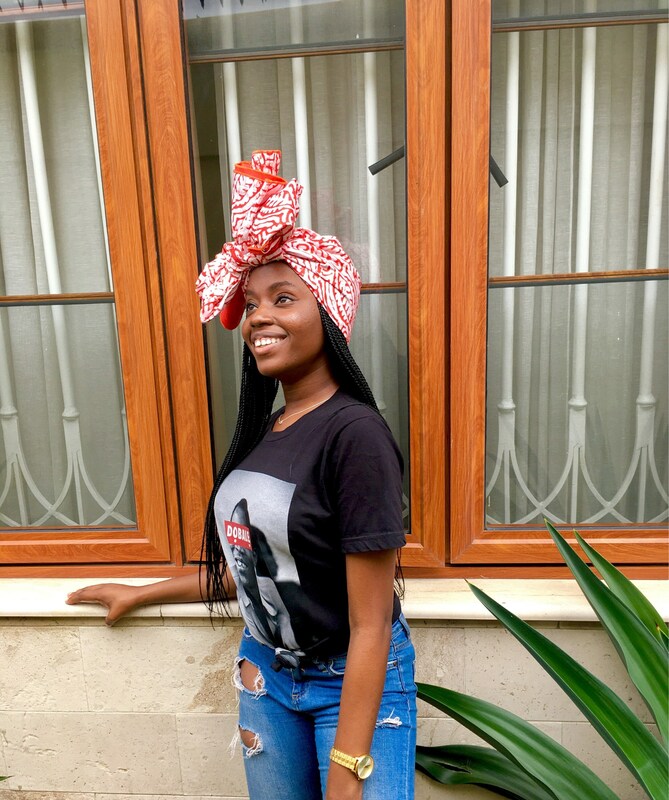 Custom made from 100% authentic premium African Batik fabric, our genuine headwraps are durable and the colors do not fade. 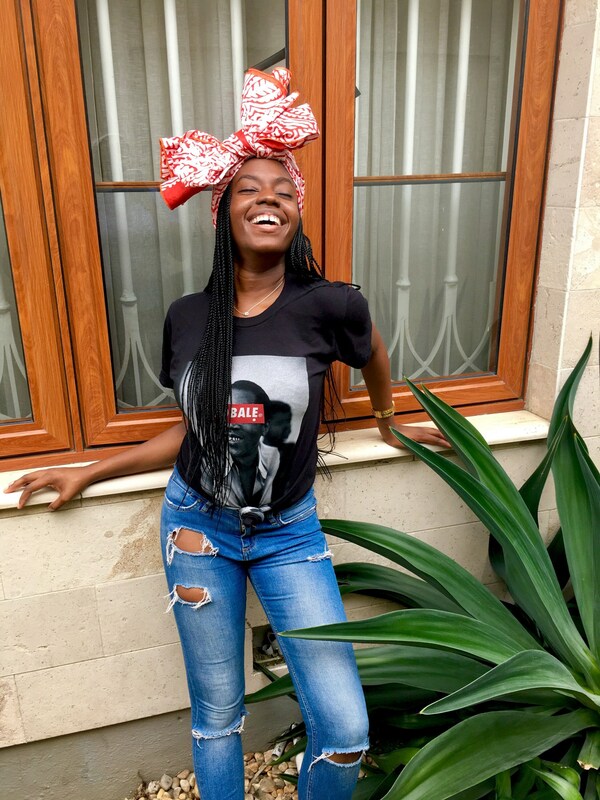 This headwrap is versatile, easy to tie and large enough to be styled in many ways, allowing you to style it to match your casual or dressy outfits. They also feature prints on both sides making styling easier. 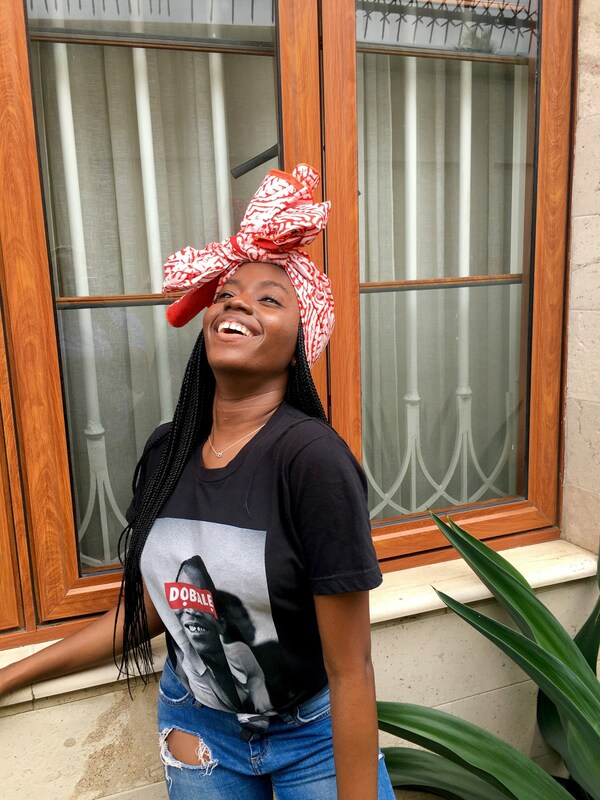 Our Batik headwraps feature tradition African wax printed design, as well as modern interpretations of traditional motifs. 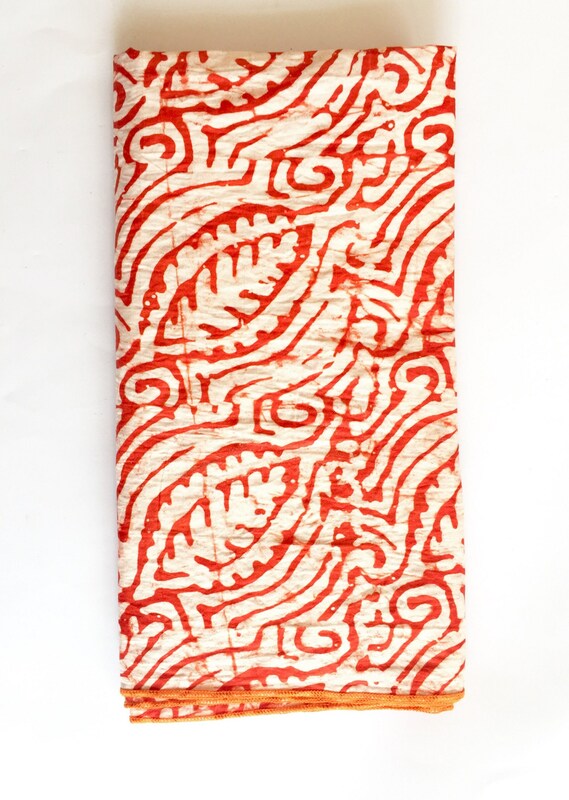 Worn as a head wrap, a scarf or a top, this vibrant fabric would be a wonderful addition to your wardrobe. Color: Colors may vary on different screens and monitors. This wrap is burnt orange and white. Care Instructions: Machine wash or handwash in cold water with similar colors. Hang to air dry. Do not bleach. Iron when dry. 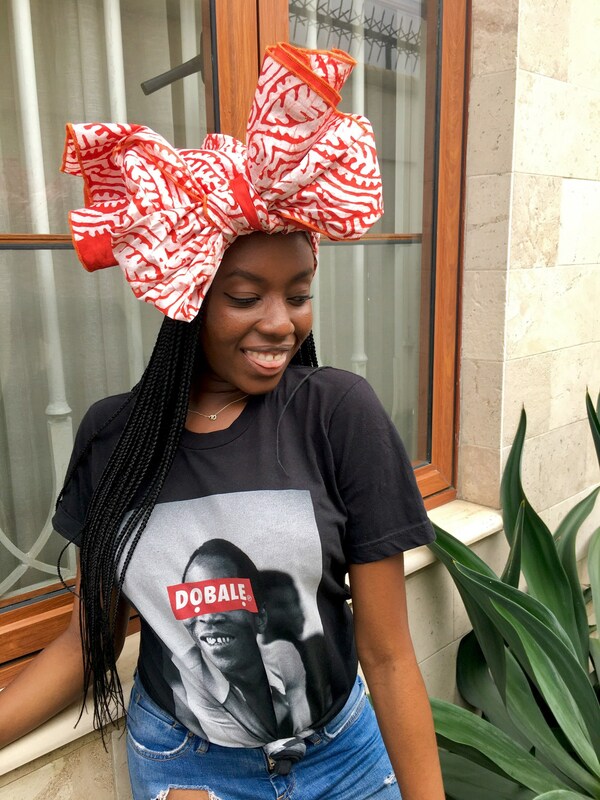 Do you have headwrap tutorials? 1) Please message us to let us know you would be returning an item. 2) Ship the item to the address listed below. NOTE: Returns are only accepted if contacted within 14 days of purchase. Item must be in original condition to get refund. Refund will be processed upon receipt of the order. Yes, you can exchange an item. We offer free shipping on the original order, but not on the replacement order for the exchange. You would need to pay for the shipping of the replacement order. 1) Please message us to let us know you would like to exchange an item. 2) Order the "Replacement Shipping" item listed in the products section. Search the listings to find it. It would be located in the Shipping category. 3) Ship the item to the address listed below. NOTE: Exchanges are only accepted if contacted within 14 days of purchase. Item must be in original condition to get refund. Refund will be processed upon receipt of the original order. I put in the wrong address or my shipment was returned because of error. What do I do? Sometimes orders are not delivered if customers do not put in the correct address or do not pick up the shipment from their local postal/delivery company. In such cases, we can either process a refund or a replacement order if the shipment was returned back to us. If you would like us to send the item again, you would need to pay for the shipping of the replacement order. 1) Order the "Replacement Shipping" item listed in the products section. Search the listings to find it. It would be located in the Shipping category. Once ordered, you item would be shipped back to you. For refunds, refunds would be partial as the shipping fees would be deducted. IMPORTANT: To ensure your laptop will fit our laptop sleeves, please make sure the total measurement of your laptop's width plus 2*height is smaller than the width of the laptop sleeve and your laptop's depth plus 2*height is smaller than the depth of the laptop sleeve. For International orders, please endeavor to select shipping (international PRIORITY mail) that includes tracking, custom fees and insurance to protect your order. The international first class mail is the cheaper option but does not include tracking for some countries, especially in Asia and Latin America. Selecting methods of shipment is the responsibility of the customer and there is little our store will be able to do to protect shipment if insurance/tracking is not paid for. We will not be able to track or refund your order this way.